Hey guys! I am currently in California for work (yay! ), but still wanted to have a post lined up. 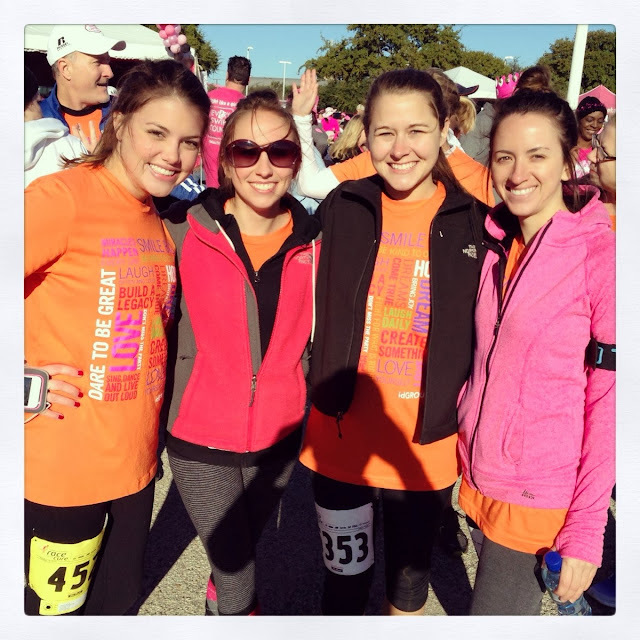 So this past weekend I participated with my company in the Susan G. Komen - Race for the Cure 5K. It was exciting for me to be a part of this run, not only because my grandma is a survivor of breast cancer, but also just the fact of being included in a such a great cause. 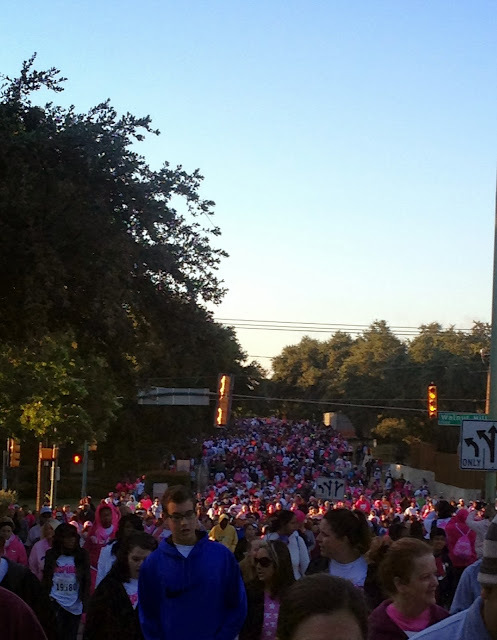 I know a few people who have suffered from breast cancer and I felt running (or walking) the 5K was a great way to show my support. We were able to take a few photos from the race. I should have taken more, but my good 'ole iPHONE decided to randomly shut off and not come back on. So, I hope you enjoy the few photos below (even with the not-so-great quality). A few of the idGROUP team. At one point I turned around and this is the amount of people. Incredible. And it was the same in front of us as well. One very interesting part of the story is that Dallas, TX decided to be cold that morning, yes cold. At least cold for us. And windy. SO, the fact that there were so many people and you couldn't really run was actually very good for us. We ran (a few times) and let me just tell you, your muscles don't really cooperate when they are frozen! It was interesting. But fun... and completely worth it. It was a great experience and I will definitely do it again! If you were also included in the race, I'd love to hear from you. Thanks for reading and have a good week.